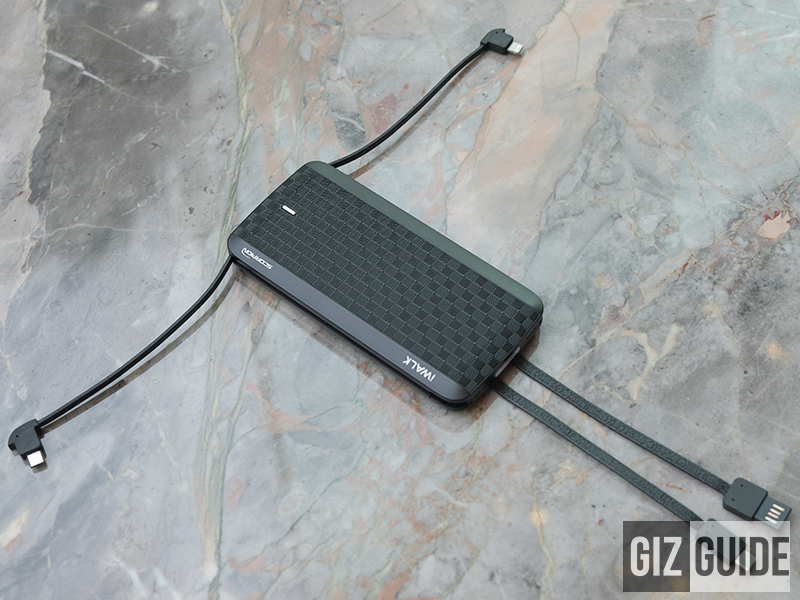 iWalk Scorpion 8,000mAh (UBT 8000X) Review - NO MORE EXTRA CABLES! 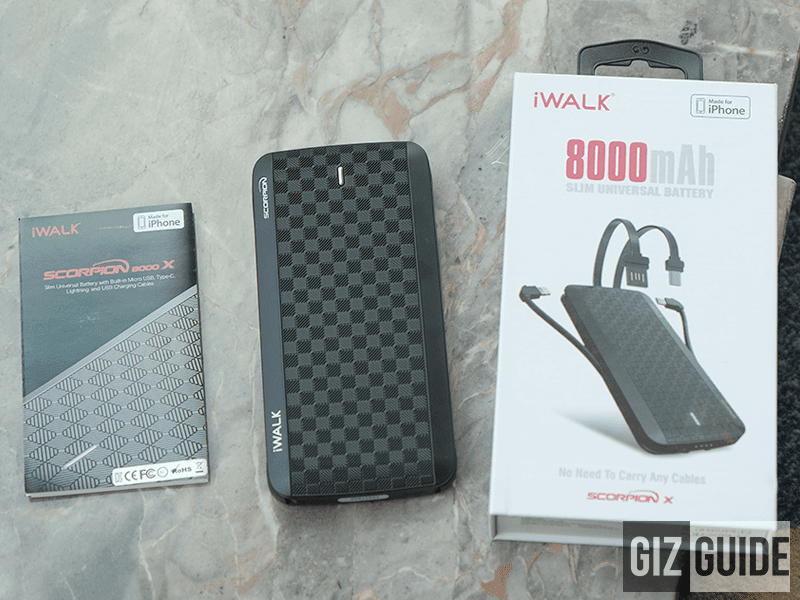 Home / accessories / iwalk / reviews / iWalk Scorpion 8,000mAh (UBT 8000X) Review - NO MORE EXTRA CABLES! 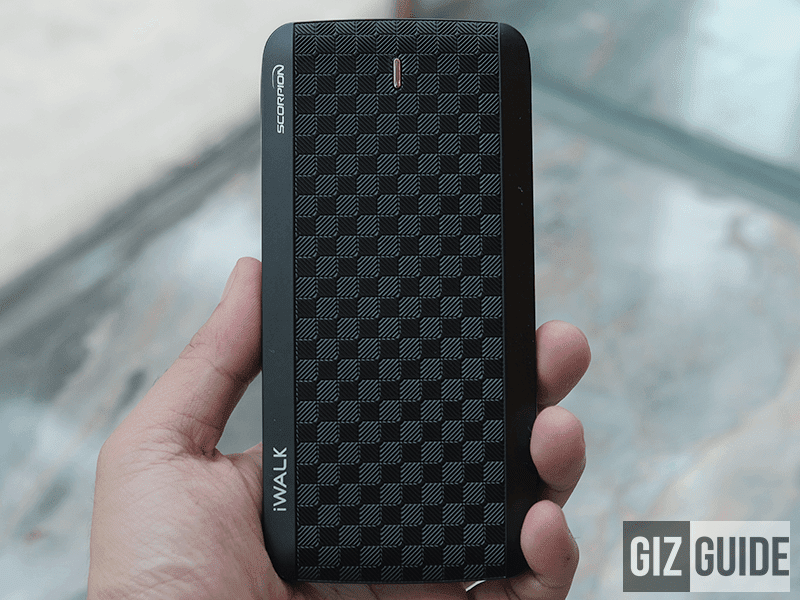 iWalk recently made a promising power bank available in the Philippines. It is the Scorpion 8,000mAh with model number UBT 8000X. The portable power bank for you? Why is it promising? This device arrived with a stylish, slim, and small profile with a total of four (4) built-in cables for charging multiple device. It simply means that there's no need to bring extra cables anymore. As expected, what's inside the box are just the power bank itself and the user guide. It would have been better if it has a carrying pouch though. 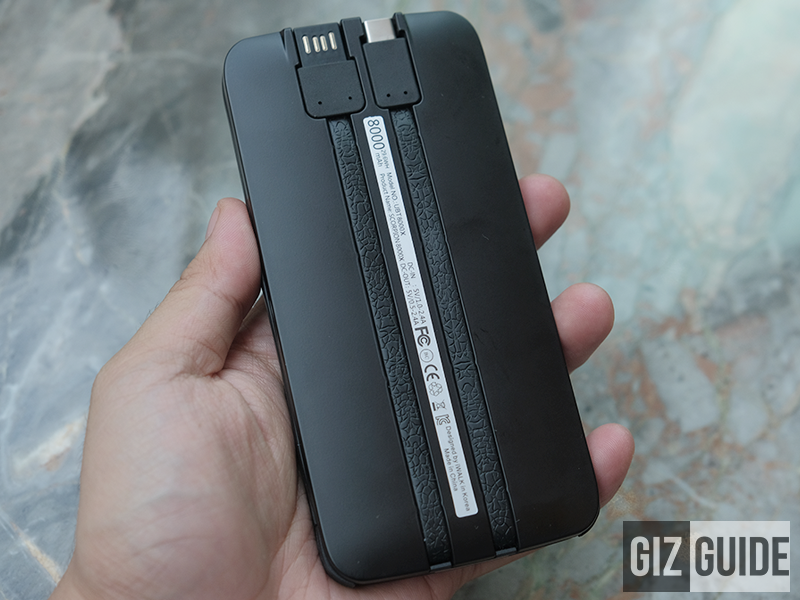 The Scorpion power bank has one of the nicest construction around. It isn't made out of metal, but I personally like power banks with plastic material better. Why? It is less prone to heat, it won't scratch my other devices when placed inside my bag, and it is lighter in general which is important when it comes to portability. Moreover, the type of plastic that iWalk used is a good one. It feels durable enough to survive few hard drops. The attached cables are quite thick even if they are flat. We also noticed that they look durable and flexible even if it has no if it has no strain reliefs/flex. In terms of design, it is stylish enough. But, not too flashy in a good way. 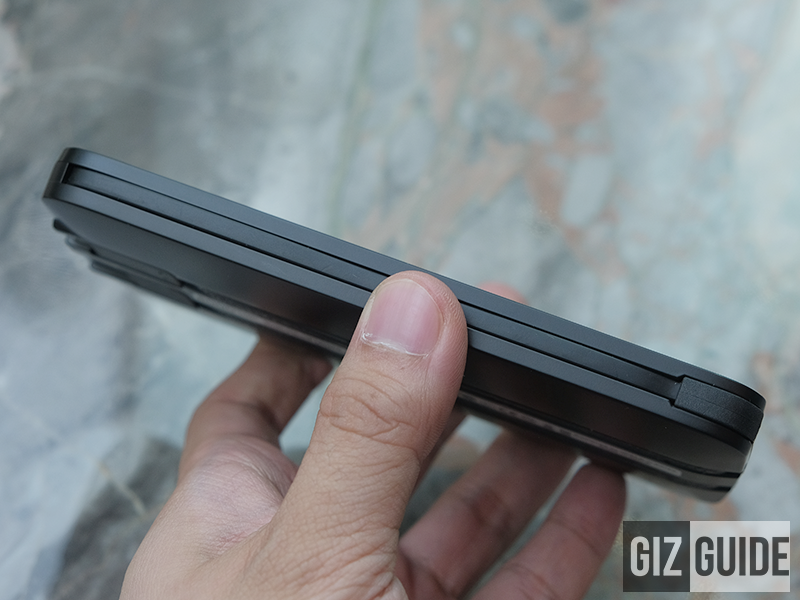 I like the crisscross like pattern as it adds a bit more grip when you are holding the power bank. The chrome paint on the power button made the design not too plain to my eyes as well. We also noticed that it is not that prone to scratches. That is a good thing! Using the power bank is as easy as 1,2,3. You just need to pullout the attached cable you need and plug it to your device. It has a built-in reversible USB Type-A, USB Type-C, micro USB, and lighting cable for Apple devices. It can charge multiple devices all at the same time! The power bank a total of 8,000mAh juice and an adaptive power output of 5V/0.5A to 2.4A. It is good enough to quickly charge most devices like your phone, speaker, wireless earphones, and more. 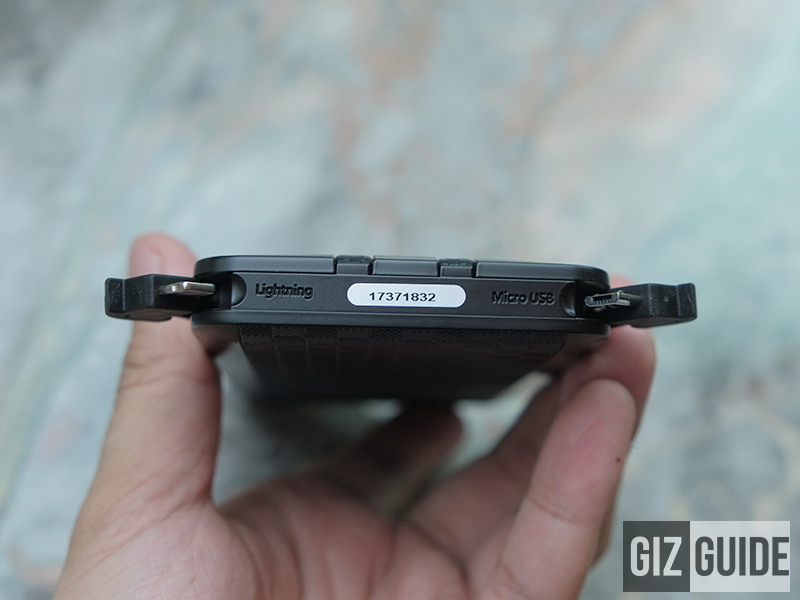 It also has an LED indicator to let you know the remaining battery capacity of the power bank. But, it has no support for other fast charging protocol like Qualcomm's Quick Charge 2.0/3.0/4+ and Huawei's SuperCharge tech. Anyway, it was able to charge iPhone X for up to 2.5 times and other popular smartphones with 4,000mAh juice like the Huawe P20 Pro, Note9, and the POCOPHONE F1 for around 2x. It was also able to charge my old ASUS T100 netbook (while it was turned off) up to 80 percent. The max 2.4A output of this power bank is not enough to let you use the netbook while charging though. The cool thing about this is you can use all the built-in cables to charge multiple devices all at the same time. Even while charging the power bank, you use the USB Type-C and micro USB to charge other devices at the same time. Data and sync works with the built-in lighting cable for Apple devices. It also has micro USB and USB Type-C input. It has no female USB Type-A port though. It means that you cannot plug other traditional USB Type-A cables. 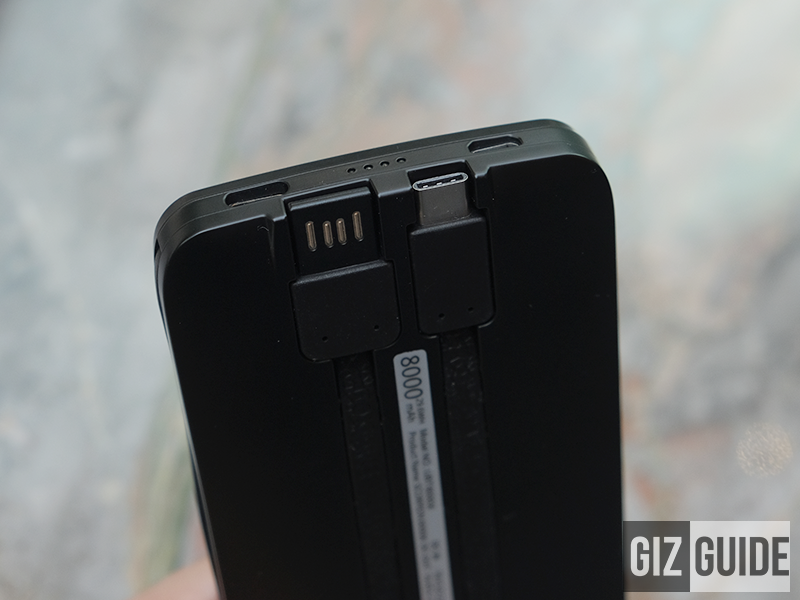 Charging the power bank with the use of a Quick Charge 3.0 charger is under 4 hours. Charging it using traditional chargers with 2A or 2.4A is around 5.5 hours. The iWalk Scorpion is the power bank to get if you need an all-in-one charger for a wide-range of devices that can fit in your pocket. On paper, it is a bit expensive for its battery capacity and the lack of Quick Charge protocol. But, for its purpose it is worth the PHP 2,299 asking price. If 8,000mAh is not enough for you, you can opt for the 12,000mAh variant of the Scorpion with Quick Charge 3.0 for PHP 2,999.